In the absence of a wooden chest full of gold doubloons, any object or experience that is deeply meaningful can be a treasure. Items, places, people — we all cherish something, or someone. My friend introduced me to the world of Pandora Charms. 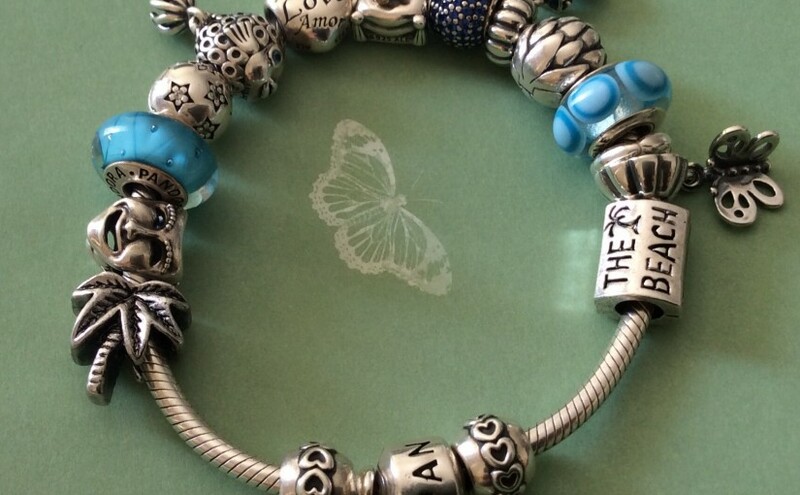 Each bracelet ends up being very personal and different from others who may be making a charm bracelet. Each individual charm tells a story. A collection of charms – each one tells a story or marks a special occasion. Double twisted leather bangle – this one is black but there are lots of colors to choose from. 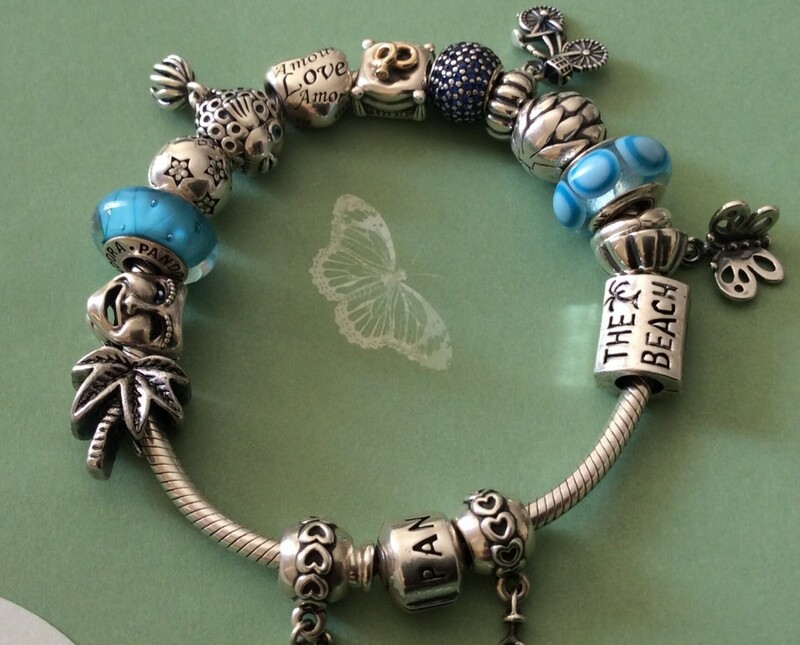 Once you have selected the type of bracelet you would like, the fun can begin – adding the charms. There are so many different charms depicting life events, special occasions, animals, sports etc that you can really have fun creating your own special keepsake that you will treasure for years to come. The bracelet is made up of three sections separated by two raised pips. As you pop your charms onto your bracelet you will need to twist the charm around a few times so that they can pass over these pips. Each pip allows you to add clip charms so that you can keep your charms in different sections on your bracelet. 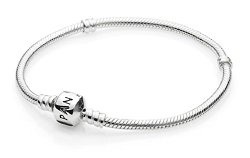 I hope you have fun creating your first Pandora Bracelet and if you are new to creating this type of bangle, I hope you have fun uncovering the many fun charms to make your own special keepsake that you will treasure and enjoy for years to come.